1. How are health insurance rates being affected by health care reform? Currently, health insurance rates have been only modestly affected by health care reform, although this trend is not expected to continue. A 2013 survey conducted by Towers Watson reports that the average total cost of health care is projected to rise by 5.2% in 2014, while a survey by PriceWaterhouseCoopers shows an expected 6.5% increase. Most national surveys have been reporting stable costs (if not slightly lower) from 2012, and our surveys of local employers have also seen stable and slightly lower average premium increases from the last few years. In addition, most cost-sharing between employers and employees seems steady. Several different surveys show that employers are planning to pay about the same percentage of employees' health insurance premium as 2012. According to the ERC 2013 Wellness Practices Survey, the widespread majority of employers (75%) are not changing employees' contribution to their health insurance premium for 2014. In addition, most employers have not increased co-pays, deductibles, and out of pocket maximums. Keep in mind, however, that many of health care reform's provisions have not been implemented yet. As health care reform's provisions unfold, studies are predicting that health insurance rates will be significantly affected in the long-term, especially depending on the state, so expect costs to go up for your business. 2. Will the exchanges affect our current workforce? Many experts say that the exchanges will not largely affect the workforce. But, you should expect that some of your employees may at least compare your plan to those in the exchanges, so be prepared to educate them on the value of your health plan. Be aware that individual changes to health insurance are treated the same as they have been in the past. Employees can only make changes to their health insurance during open enrollment or when they experience a life change affecting their health insurance. A 2013 survey by Towers Watson showed that 80% of employers were not confident that public health insurance exchanges will provide a viable health insurance option to employer-sponsored coverage, and that most continue to view health benefits as an important offering to attract and retain employees. In fact, benefits was ranked 5th in importance according to a recent study we conducted of what top performers are seeking in a job. While some employees may opt for the public exchanges once they price out their options, confidence in them does not appear to be high. 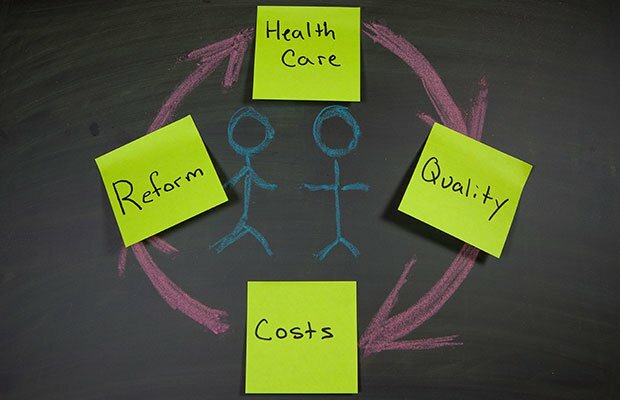 A recent study by the Employee Benefit Research Institute and Greenwald & Associates shows that over half of employees with health insurance coverage through their employer are extremely or very satisfied with it and significantly fewer employees are confident in public health care offered through the government. 3. How should we approach open enrollment this coming year? Work with your broker directly and they can help you prepare your communications with employees. In general, you will want to communicate changes to your plan, new or additional costs, why you are making changes, and what options employees have available to them through the exchanges. You'll also want to use open enrollment to help educate employees on the basics of health care reform and how it will affect their benefits. Research shows that employees are lacking in knowledge about the basics of the law, and this is a good opportunity to educate them. 4. How do the exchanges affect retiree coverage and COBRA? The exchanges are an ideal option for retirees, as well as individuals who would otherwise take COBRA. Employers will still need to maintain compliance with the COBRA as the Affordable Care Act (ACA) unfolds. The health insurance exchanges created under the ACA could eventually replace COBRA coverage, as the coverage under the exchanges will be heavily subsidized as compared to COBRA, which requires former employees to pay the full cost of employer health care coverage. Nonetheless, for now, if COBRA participation declines and individuals choose to use the exchanges for coverage, employers will still be responsible for their administrative duties related to the law. For this reason, it’s expected that once individuals understand the cost advantages of using the exchanges, that many will likely choose the options in the exchanges, which could lighten employers’ administrative responsibilities in administering COBRA. In terms of early retiree coverage, it's too soon to tell how the exchanges will affect employers' offerings in this area, but some organizations have begun altering their corporate early retiree benefits and directing retirees to the exchanges. Over the years, the percentage of organizations offering early retiree health care coverage has declined in the face of rising health care costs. The exchanges present a new viable option for retiree health care coverage. 5. When will the small business exchange program roll out? The Small Business Health Options Program (SHOP) will be delayed until November 2013, which means that small businesses will not be able to enroll online until then, but may enroll via fax or paper mail in the meantime. The SHOP program is intended to provide an easy and cheap way for small business owners to provide health insurance, however, it is projected that few businesses will use the SHOP exchanges and instead use their existing brokers, especially if they already offer health insurance. The effective date of coverage will be January 1, 2014 for small business employers (with fewer than 50 employees) and employees who enroll in the exchanges by December 15th, however, small business employers and employees can enroll in the exchanges by March 31st to receive coverage in 2014. 6. Now that the exchanges have rolled out, what's next? The ACA's individual mandate goes into effect January 1, 2014, as it stands currently. But, the employer mandate which requires employers with more than 50 employees to offer health benefits has been delayed until January 2015. 2014 will be mostly business as usual for employers if your organization offers sufficient coverage that meets all of the requirements which go into effect in 2015. Changes to information reporting requirements have been proposed by the Treasury Department and Internal Revenue Service. In addition, the IRS and Department of Labor (DOL) have released guidance, which is effective for plan years beginning in 2014, on applying annual limits and preventative care to defined contribution health care plans. Expect continued guidance and final rules related to implementing the major health care reform requirements which have been delayed until January 2015. This survey reports on the wellness practices and health insurance metrics of 102 Northeast Ohio employers.